It’s official: There is now an affiliate program for EVERYTHING you can imagine. True, once you have a very proven track record and you already have a score or more of very active affiliates promoting for you, THEN affiliates will indeed show up – at least to a certain extent. Even then, it pays handsomely to continue to recruit affiliates. So how do you go about attracting active affiliates to promote your products? While it isn’t difficult, it does take a plan and work. And it helps if every single day you reach out to a handful of affiliates – this way you’ve always got at least one or two new ones in the pipeline. Let’s talk first about some of the biggest mistakes marketers make when recruiting affiliates. Then we’ll talk about things you can do to bring in affiliates, as well as giving you a very simple, yet powerful affiliate recruiting letter you can begin using immediately. Oftentimes we can learn as much from what people are doing wrong as from what they are doing right. The first time you try to recruit affiliates is scary. Will they say no? Will they be mean? Will they say bad things or laugh at me? That’s terrific if George has a list that is the right match for our product. But if George is selling washing machine repair manuals, and you’re selling info on how to build your own greenhouse, then it’s not a good fit. A better bet is to find the folks who have lists of gardeners and do-it-yourselfers and ask them to promote our new greenhouse product, because those marketers and their lists will be open to it. Find anyone and everyone who is in your niche, and get on their list. Watch to see what they promote. Watch the appropriate contest leaderboards and see who is on top. These are the folks you want to approach. Yes, you’re afraid someone is going to try to steal your product from you. But this fear is something we all have to get over. Real affiliates don’t steal, they help you make money. Asking them to promote a product they haven’t even seen is just foolish. Sure, a tiny handful will go to the trouble to either ask you for a review copy or buy it themselves to see if they like it. But the rest will simply delete your email. Don’t be stingy. And don’t wait for an affiliate to have to request a review copy, either. Just send the link where they can download a copy. You can even send this with your very first communication. This way they can immediately check out the product while they’re thinking of it and have the time. If they have to request a copy, by the time you send it to them, they’re either busy doing something else or they’ve forgotten all about you and your product. Once you send the copy, don’t bug them to death about it. Too much bugging can make them change their mind about promoting. If your potential affiliate is on social media, it is extremely bad form to friend someone and then immediately ask them to promote for you. Instead, friend them days or preferably weeks ahead of time, while you are still creating your product. You might even have some interaction with them through social media. Every affiliate is different. Some are hyper-concerned that a product be a good fit for their list, be of the highest quality, and impact their customers in a powerful way. Others are concerned with how much money they can make. And still others are keenly interested in how well your offer converts. Get on their lists and find out what gets them excited. Then when you approach them, that is the benefit you should lead with. You’ve got to be ready to answer affiliate questions when they ask them. Getting back to them a few days later, or a few hours prior to launch, is not going to win you new affiliates. If you’re not responsive to your affiliates, they will assume you will not be responsive to their customers, either. By contacting affiliates well ahead of your launch, you give yourself and them plenty of time to sort things out. And if you’re too busy to deal with affiliates, you can always hire someone to act as your affiliate manager. Now that we know what NOT to do, let’s see how we can go about finding new affiliates, or even having affiliates approach us. There are tools out there to help you find affiliates. Some are free and some cost money. All of them will check a website to find out where the traffic is coming from, which helps you to locate the affiliates for that site. Depending on which network you use, you might be able to contact affiliates directly through the network. Be sure to follow all rules of the network so you don’t get in trouble. Depending on your market, there might be forums just for affiliates. This is a great place to find successful affiliate marketers. You can often create a forum signature that links to your affiliate program, and also strike up conversations with potential affiliates. Nothing beats face to face for making new contacts. Affiliate conferences can be well worth the cost of admission just to meet a handful of really good affiliates. This can be an excellent way to find new affiliates. Just make sure you don’t spam. Bloggers in your niche who are capturing email addresses might be excellent affiliates. You can always ask your customers if they would like to become affiliates. Most won’t, but those that do can be extremely powerful in their selling efforts, since they are already a happy user of the product. If you are friends with your niche peers, you might ask them if they are willing to refer affiliates to you. If they say no, don’t push it – some marketers do not share this information, while others don’t mind. You can offer them a commission on everything their referred affiliates earn to sweeten the deal, or you can offer to tell your affiliates about their program. Target people who are following the top online marketers or people in your niche. If you are selling your program through a site such as JVZoo or Clinkbank, take special care your description. When you want to attract affiliates, honesty goes a lot further than hype or clichés. First, build a page for your affiliates where you explain all the pertinent details such as program description, FAQ section, tips and ideas, creatives, conversion rates, commission rate, sign up button and contact us. Make sure you have a review or two from affiliates on there as well. Next, optimize the page, so that if anyone searches for your program’s name and the words, ‘affiliate program,’ they can find you. Link to the affiliate page from your main website. According to the 2015 AffStat Report, 24% of affiliates learn about new affiliate programs from the merchant’s website. Consider a two-tier commission program, in which you pay affiliates a commission on all sales from their personally recruited affiliates. affiliate. You pay Bob 10% of everything Betty sells. And by the way, this 10% comes out of your profits, not out of Betty’s commission. Put together an incentive contest for your launch and publicize it anywhere affiliates hang out. Affiliates love to compete to win big prizes, and this can be an excellent draw. The key is to keep your email short and to the point, with a call to action at the end. For our example, we’re going to say that you went to Google, typed in a competitor’s product (WonderBread Traffic Blueprint) and scrolled through the results to find out who is promoting that product. To find their email address, you may have searched their domain at whois.domaintools.com, or used Rapportive plugin for Gmail, or used Data.com Connect, or any method of your choice. I saw that you were promoting WonderBread Traffic Blueprint recently, and thought of you for something we have coming up. This July we are launching Iceman Traffic Tool. 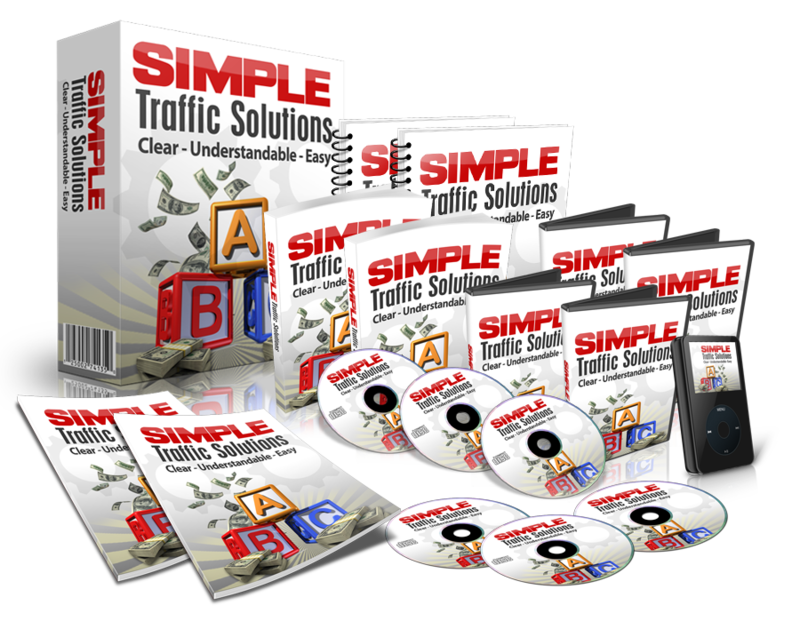 It’s similar to the WonderBread Traffic Blueprint, but it offers a wider range of techniques along with software to automate the entire process. I’d love to send you a review copy and share more info with you. As you can see, the formula is to mention the competitor’s product, tell how your product is different, and invite them to get a review copy and learn more. You can also (and I highly recommend this) give them a link to your affiliate page, where they can download their review copy right away, without having to ask you for it. Once you send this email, you can, of course, periodically follow up. I saw some numbers once on how well emails work at recruiting affiliates. Frankly, they were a little dismal at the onset, but improved dramatically with repeated follow ups. They said the initial email you send out will result in 4% signing up. But if you follow up, you will get an additional 12% to join. • 5: In one year. While I haven’t collected the data (shame on me) through my own recruiting, I’ve found that checking back with them 3 days after the initial email, one week after that, and then every two weeks works well. We are sorry, but the website(s) and/or promotional methods listed on your affiliate profile do(es) not meet our approval criteria. We have, therefore, declined your application. If, however, you feel that we have overlooked your potential, we would like to hear from you. Just email us a brief explanation of how you were planning on marketing our product/service, and we will gladly reconsider your application. The better you get at recruiting affiliates, the more money you can make. I know, that sounds obvious. Yet so many marketers focus on anything BUT affiliate recruitment, and then they wonder why their sales are flatlined. New affiliates mean new customers are seeing your product. The more of those customers you can sell the first time, the bigger your list of buyers, and the more money you can make in the future, too. If you get good at recruiting top affiliates, there simply is no limit to the amount of money you can make. Top marketers may even be asking YOU to act as their affiliate manager for major launches, offering you a percentage of every sale made. Or you can simply focus on bringing in affiliates to promote your own products. Either way, you can’t lose.